So back to Thursday, yet again the day followed a rather predictable pattern, me grumping about getting up early and the machines actually behaving themselves once more! My food also followed the same pattern - just call me Ms Groundhog! I think you can tell I need to go shopping my the condition of my bananas! After discovering that my Bear yoyo's count as one of my 5 a day for each roll, they were quickly added to my menu again :) It was my last rice pudding too :( As Hague was working til 6.30, I figured I might as well get the shopping out of the way before he got home, and so I had a quick snacklet before heading out, courtesy of my Graze box. I then battled my way around Aldi and Asda, and then got myself home and fed! As Aldi had Jersey Royals for just over a quid, I'd treated myself and had them with plenty of veg and the last of my leftover mac n cheese. Lovely lazy dinner :) I followed it up with a little discovery from Asda, someone posted on a FB page about Activia lemon and lime yogurts, and I managed to find them in Asda! Yay! Highly recommended, they were absolutely lovely, really tart. I picked up some pineapple and coconut ones as well, so might try a Malayan curry with those another day. As always after an early dinner/late lunch I got peckish again and so I did myself a few mini quiches so I didn't wake up hungry. So Friday, an easy day at work as only one of my lines was running, with three of us there it was a tad boring, but I can't really complain about that. It meant that my breaks were a tad longer! I also had an email about the 5 a day challenge, a progress report as we're now halfway through, and our team is winning! I was rather pleased about that :) I was also rather pleased that my sponsor form had two more names on it - every little helps! As I had actually managed to buy potatoes slightly bigger than grapes at Asda I treated myself to a jacket potato, although I think I may have gone slightly overboard on the accompanying salad! The spud was stuffed with chive cottage cheese and my HeA of cheddar, utterly delicious, I've missed jacket potatoes! Obviously with the mountain of veg, it was a while before I fancied any dessert. Acttivia yogurts were on offer in Asda too, £1 for a 4 pack, I may have bought lots :) I know they're synned, but they're gorgeous, so I don't mind splashing out some synnage on them. Plus some more yoyo's to up the old fruit and veg. With no Hague as he was heading up to Barnsley, I whiled away the evening with a long soak and plenty of music blaring out of my docking station, but all too soon I was peckish again and so yet more veg was prepared. This time with some Feta and pasta :) Then once more it was time for an early night as Saturday brings no respite from my stupid alarm. And so finally we reach today, which started at 4.30 once more, I wasn't expecting us to be called off, but I checked my phone anyway, nothing, and so off I headed. Luckily, when we arrived none of the lines were still running, so I had high hopes for an early getaway. Didn't stop me having a bit extra to eat on my first break though as I was already hungry. Quite familiar, but with an added lemon/lime yogurt. Yum. As we'd been told we should be away before 10, I didn't have anything else to eat. We were there until nearly 11 though, and so I was starving by the time I got home. I decided to pick up some Aldi sub rolls when I was shopping as TOK highly recommends them and so I had one of those for my lunch/brunch type meal when I got home. I had planned on having the eggs inside the roll, but didn't have the room after stuffing it full of onion and mushrooms! TOK was right though, they were delicious! Well worth the HeB and 3 syns, although as I'd had a Benefit bar already I am just going to have the lot as both my HeB's instead :) It made a nice change actually. After stuffing myself with that little lot, and feeling rather chilly on the sofa I decided to head up for a wee nap, after all, I just couldn't risk falling asleep during Eurovision could I? I was very good, and set an alarm and so only had 2 hours, so not so bad. I had to succumb and put the heating on when I got up though. Seriously, it's bloody May, how about some warmth please? It was back to enjoying some tunes and chatting to TOK for a while, before I started to ponder dinner. I had a right case of the CBA's, but managed to sort myself out a pasta bake. Plus another mountain of salad, it'll almost be a relief when this challenge is over lol! What can I say? It's definitely a guilty pleasure of mine. A cheese-fest from start to finish, craptacular songs, bizarre choreography, even more bizarre outfits and lyrics and the wonderfully sarcastic commentary from Graham Norton. 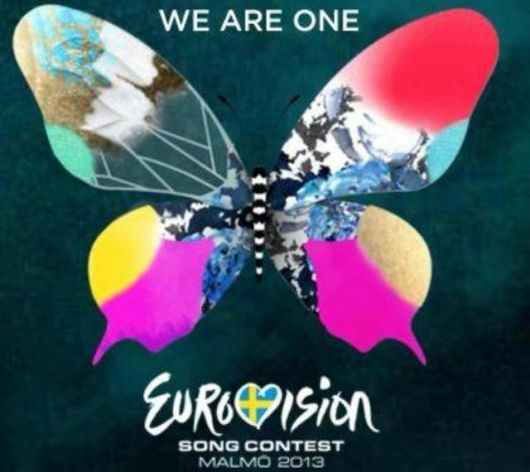 I love it, although if Greece don't win, I'll demand a recount! Only at Eurovision could you have a song called "Alcohol is Free" sang by guys in skirts, sounding like Madness fuelled by Ouzo. Perfection. Anyway, I had my noms at hand whilst I enjoyed the "music" and tapped away at this blog. So with my noms eaten, the last song about to start (Ireland) and the time getting on, I'd best finish up eh? As it's now gone 10pm, and I have yet another early start tomorrow, I should really think about heading to bed soon, but as the reason I'm getting up early is for the Race for Life, I shall take this opportunity to ask just one more time for sponsorship. I know several of you have already been incredibly generous, and I would genuinely appreciate even a few pence if that's all you can spare. I can't wait to take part tomorrow - all dressed up in pink, and alongside my Mum, Sister and Niece, as well as their friends. It'll be a wonderful day, and I'm hoping to get around in 40 mins or less. We shall see, but it would be fabulous to come home, log on to our sponsorship page and see us at our fundraising target! Are the pineapple activa yogurts free? According to syns online, all multipack 0% fruit flavour Activia yogurts are free.